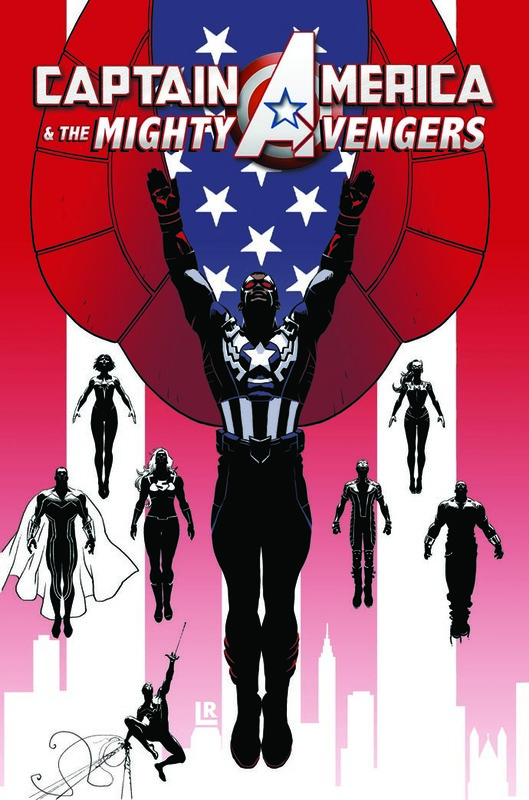 SDCC 2014: Captain America and the Mighty Avengers! Straight from SDCC this November, Mighty Avengers relaunches as Captain America & The Mighty Avengers, with series writer Al Ewing staying on board and joined by veteran Cap artist Luke Ross. This relaunch will coincide with Falcon/Samuel Wilson‘s rise as the All New Captain America. What does this mean for the team we’ve come to know and love in the Mighty Avengers? Well series writer and artists sat down with Newsarama to dish on what we can expect! Nrama: Luke Cage led the team in the previous iteration, but it looks like Sam-as-Cap is taking that position. Where exactly does Luke fit into the scheme of things here? Ewing: It does look like that, doesn’t it? Which is bad news for Monica, since she is and has always been the leader in the field. 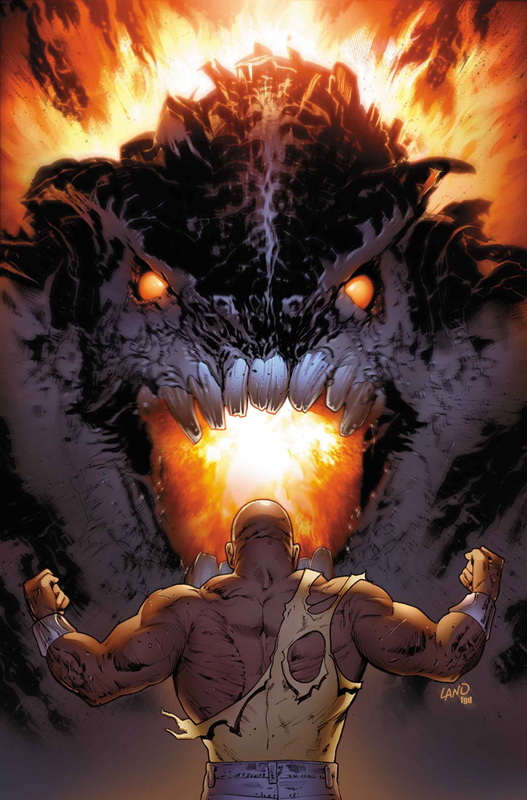 Luke Cage is the support role – the organizer, the Professor X to Monica’s Cyclops. But the public perception is that Captain America leads every team he’s on, in the field and anywhere else. That’s going to cause some tensions. I can promise that at the end of it all, this confusing “field leader and support leader” business will be done with. By Captain America & The Mighty Avengers #4, the Mighty Avengers will have one clear leader, in front and behind the scenes. Who will it be? You’ll find out. But it’s probably one of the three I just mentioned. Or Adam. Nrama: This is launching around the same time as Avengers & X-Men: Axis, so will the events of that series be of effect in Captain America & The Mighty Avengers? And if so, how? Ewing: The first three issues are an AXIS tie-in – although to say exactly how it all ties in would probably spoil the plot of Axisin ways it hasn’t been spoiled yet. So I’m going to play my ‘wait and see’ card on this one. Color us excited! Despite what he says though Captain America and the Mighty Avengers must be lead by the all new Captain America….otherwise what’s the point of the relaunch and re-name? Who leads Wolverine and the X-men? Yeah, the guy who’s name is on the cover! On another note though the increased tension on the team would be interesting and the new name should boost sales significantly. You can read the whole thing over on Newsarama. Who would you like to see lead the Mighty Avengers? This is really interesting . I see all kinds of potential for great and engaging and long over due stories . I want to to get excited about it . I agree JJ! Sam was background noise in the first run of Mighty Avengers so their should be serious tension when he decides to take over the team. I can see Luke handing him the reigns because it gives the team a higher profile but him trying a coup…..that would lead to interesting tales if handled correctly! To mind mind there is an opportunity here for thoughtful and perceptive stories about characters we care about . If they do this right we will care about them even more. Commenting on your idea -It could be that in Sam’s mind a take over would not be a coup . I t would just be things happening the way they should . He might / would think that it is only right and natural that he be in charge ( and bring these people into the ” Big Time” aka ” Get them seated at the grown ups table” ) And naturally other team members( like Monica) might have other plans and ideas and aspirations that do not fit with the program. My concern is that I don’t remember seeing Falcon in the leadership role. Lately he has been considered the computer guy and the good soilder,I would think that the guy who filled caps shoes would be more of that natural leader type. I’m anxious to see how everything plays out and if T’Challa pops up! I agree Erik! I’m curious to see how someone who is NOT a natural born LEADER fit into the cowl and Shield!